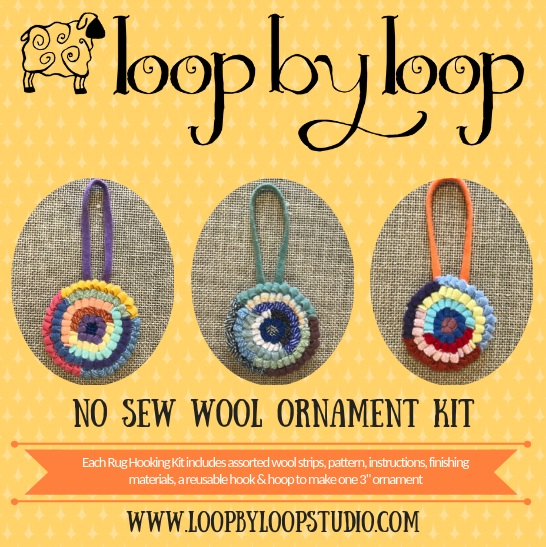 Loop by Loop Studio is currently wholesaling select rug hooking kit designs: Assorted Round Ornament Kit, Assorted Winter Tree Ornament Kit, Yellow Heart Single Coaster Kit, & Anchor Single Coaster Kit. Kits come packaged in a 6 by 6 by 1 inch clear box. Each of these Complete Rug Hooking Kits include a pattern, wool fabric strips, instructions, finishing materials, and a reusable hook & hoop. These kits are designed for a novice fiber crafter, which makes them perfect for various types of fiber or gift retail locations. These kits are also great for kids aged 8 and up! 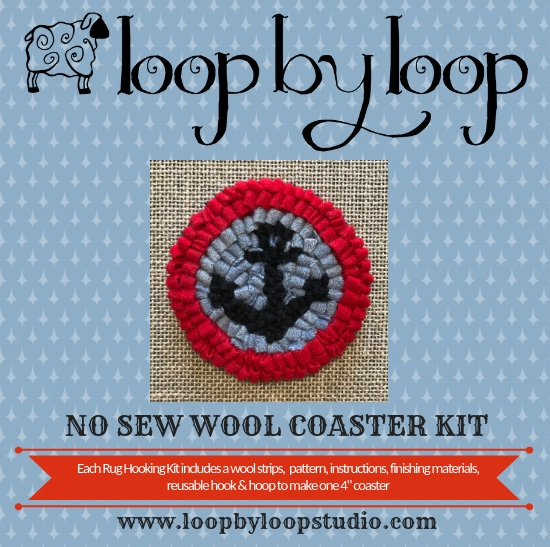 If you are a shop owner or buyer and would like to purchase Loop by Loop Studio kits to sell in your shop we invite you to set up a wholesale account. Please contact us for more information using the form below. After we have reviewed your application we will contact you with login information. Please note there is a $200.00 minimum per wholesale order. How did you hear about Loop by Loop Studio?